When I graduated high school, I honestly thought that was the end of standardized tests for me. Little did I know, just a few months later, I’d decide that I wanted to go to law school. And with law school comes the LSAT. If you don’t know what that is, the LSAT is the standardized test used for admission into most law schools (some have gone rogue and started accepting GRE scores, but that’s beside the point). Because the LSAT is the one commonality between all applicants, law schools put a ton of weight into your LSAT score when deciding who to admit. So to say it’s a huge deal is an understatement. I took the LSAT back in June, and I did pretty well on it. I’m not a huge fan of talking about test scores (this blog post is actually the closest I’ve gotten to telling anyone other than my family what I got). But for the sake of this post, sharing at least some information about my score is necessary. I’ve gotta establish some credibility on the topic of LSAT prep, right? So here you go: I ended up scoring 170+ (still not saying my actual score), which is high enough score to put me in the running for the top law schools in the country. So in this post, I’m going to share some of the study tips that helped me the most in getting that elusive high LSAT score. I was so lucky in that I was able to strategically plan my LSAT date around my study abroad experience – since my Oxford program ended in March and my internship didn’t start until June, I was able to use that entire time to solely focus on my LSAT preparation. If you can find a time window like that, you’re golden. 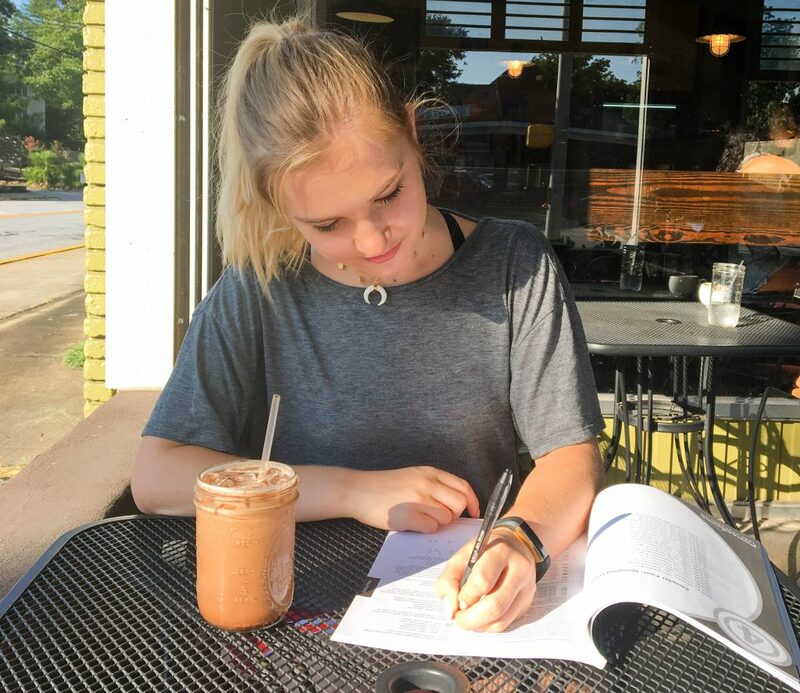 Take a summer to study and then take the test in September if you don’t have a break in your school year – it’s so much easier to study for the LSAT when you’re not juggling 20 other responsibilities at the same time. Personally, I used the PowerScore books and loved them (you can buy them on Amazon here!). However, each test prep program has its own strengths and weaknesses that may or may not correspond with your own learning style, so finding the program that fits you best is one of the most important decisions you’ll make in regards to your test preparation. PowerScore can get a bit overly detailed at times and make things a touch more complicated than they need to be, but I’m also overly detailed and enjoy complex problems, so those weaknesses of the program weren’t actually weaknesses for me. Once you pick a program, you still have a ton of options as to how you want to prepare for the test. I have quite a few friends who have taken test prep classes and they’ve seen great results, but I know that I’m not that type of person. I learn best when I can sit down by myself and work through a book and practice problems, so I opted for doing most of my preparation via self-study. 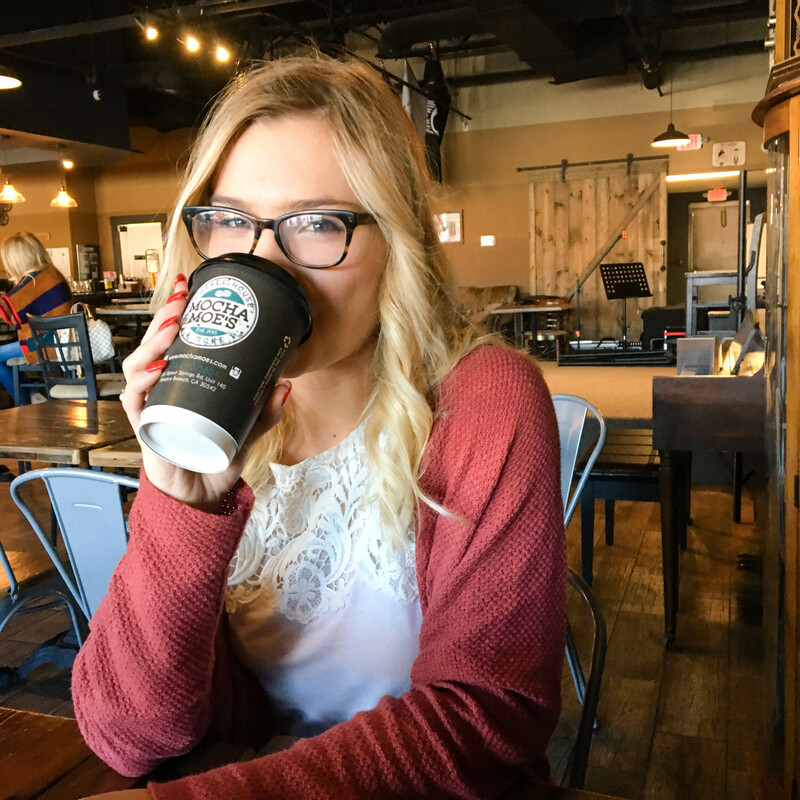 However, I knew I wanted at least some face-to-face time with an instructor, so I took a shortened, weekend-long class – it was the perfect amount of classroom time for me. If you haven’t noticed, all of these steps are planning-related – I haven’t even started covering the actual studying part yet! That’s because the planning decisions you make before you start studying can make or break your LSAT studying. However you choose to prepare, make a general timeline of what you want to be working on in any given week. If you use PowerScore, they have a whole section of their website dedicated to self-study plans – I used one of these as a template to build out my study plan (you can see a peek of it in this bullet journal post). 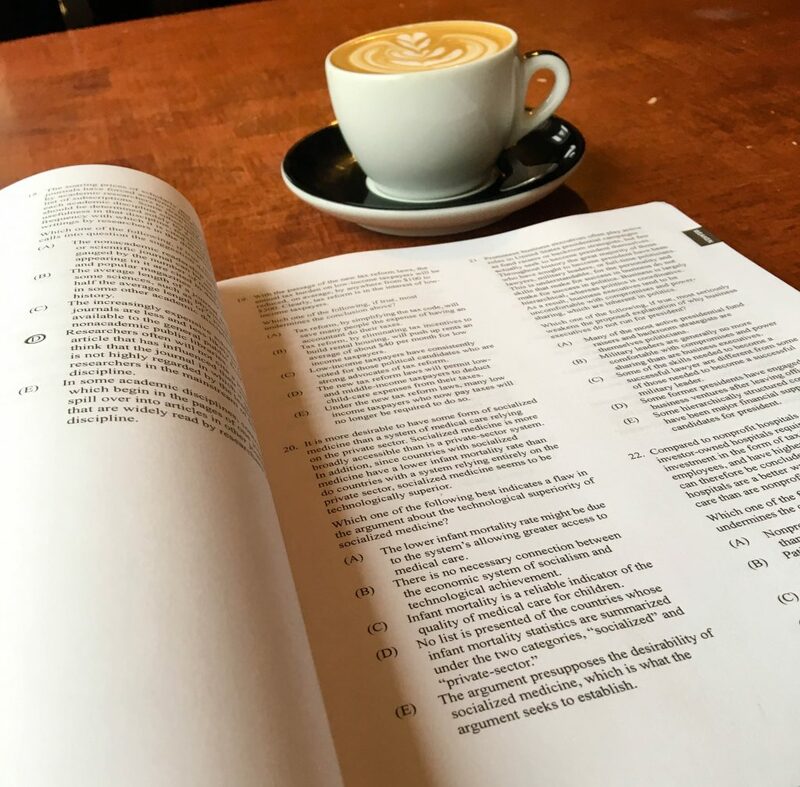 Learning the structure of the test, question types, and problem-solving strategies are hugely important, but practice tests are easily the single most important aspect of LSAT prep. The way you answer questions when you’re working on a time constraint and have been testing for 2+ hours already is going to be totally different than the way you answer questions when you’re fresh and only doing a few questions at a time. The only way to really account for those differences is to take practice tests, and to take as many as you can. I think I took about 25-30 by the time I finished my test prep. Taking practice tests is worthless if you don’t learn from them. Immediately upon finishing your test, grade it, and go back and look at the questions you got wrong. When you’re doing this, don’t focus on why the right answer was correct, focus on why the answer you chose was wrong. If you can identify the problem with the answer choice you selected, you’re less likely to make that mistake in the future. I’ve spent this whole post talking about how to score as high as you can, but I want to end on a different note. Scoring well is great, but it’s not everything. Ultimately, law schools look at more than just numbers, so a lower score isn’t necessarily a death sentence, and a high score isn’t a guarantee of admission. Remember that you’re still a person who needs to enjoy life – don’t lock yourself in your room studying at all hours of the day. Take breaks, hang out with friends, and try not to stress about the exam 24/7 – burnout is a real thing and you don’t want it ruining your LSAT experience. I think that’s it for today, friends! 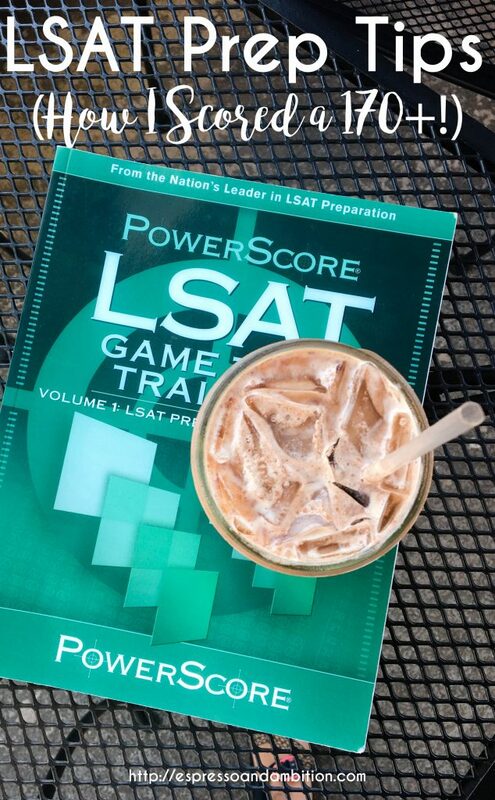 If you’re gearing up for the LSAT, feel free to ask me anything – I’m happy to help. I loved reading these tips, even though I’m not planning to go into law school. Great job on your accomplishments thus far! Hey, I would love to connect with you and ask you more about your study experience! I have decided to leave around four months to completely study for the LSATS and take it in September. I would love some more advice and study tips! I absolutely enjoyed reading this post! Great job, Taylor. I can’t wait to see where you decide to attend law school. You’ll succeed in whatever endeavor you take on.